These Products Are Teachers’ Choice Award Winners—And You Could Win Them All (Including an Early Literacy Program)! Ready for the countdown? Not the countdown for the new year—the countdown for your next chance to win Teachers’ Choice Award–winning products! Well, your wait is over. I have five more products that every classroom of young learners should have! Yep, preschool through grade 1 teachers, you’ll especially love what I’m giving away today. If you teach older kids, you can still win. Plus you have time to post a comment for a chance to win all the products in the December 21 post, and I promise there will be more prizes in January! All told, I’m giving away nearly 60 products that earned Learning magazine’s 2016 Teachers’ Choice Awards after being tested and evaluated by real teachers in real classrooms. The Teachers’ Choice Award designation is given to the best of the best. Here’s what you need to do for your chance to win: post a comment to this blog by 11:59 pm EST on January 10, 2016, to tell me which of the award-winning products below would be perfect in your classroom. From the comments, I’ll randomly select one teacher to win all the products in today’s post. Congratulations to Brian, who is the winner of these products! Don’t forget to post a comment for your chance to win all these award-winning products! 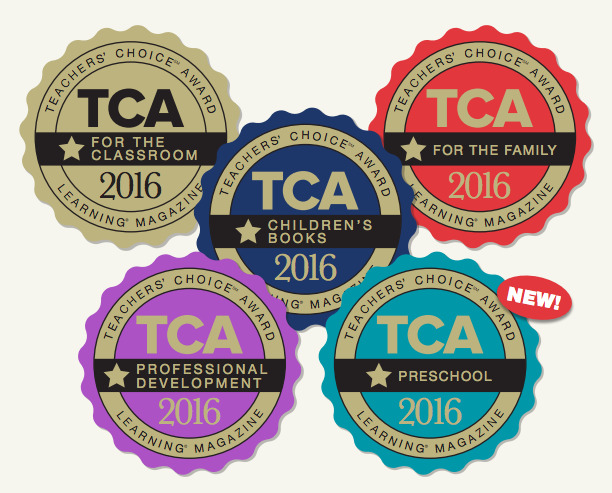 PS: Want to see all the Teachers’ Choice Award winners for 2016? Go to LearningMagazine.com and click on “Teachers’ Choice Awards” in the menu. Then watch this blog for a chance to win your favorites. Absolutely love the 3 Little pigs from Lakeshore. What fun to build your house. And the baby bucket. OHH pick me please I would love this prize package but more importantly so would my kiddos. Oh my goodness, what an amazing package of prizes. I am especially interested in the stem materials focusing on the three little pigs. Of course, as a “great” aunt, I would also love to have the baby bucket book. It sounds like such a sweet story. I absolutely love the Little Pigs STEM problem solving kit. What a fun way to introduce these concepts and perfect for all my kinesthetic learners! I’m really interested in the Benchmark Early Literacy from Newmark Learning. I think there needs to be more music in the classroom, so I love that it comes with a sing-along CD. Music helps students to learn more about all subjects! The interactive whiteboard CD-ROM would also be a big help. They all sound very interesting!! What an awesome collection of teacher resources! Thank you so much for giving away such quality products – teachers definitely appreciate the opportunity to win such awesome tools to use in their classrooms, and just keeping us informed of the quality products makes us all winners! Thanks a bunch and keep up the great work! You are apppreciated!! You are absolutely correct! This is a kindergarten classroom must have! As a kindergarten teacher I would put all of these wonderful resources to use right away. With our classes going common core the district is expecting a differentiated curriculum but they are not providing any new materials. Our reading program is from 2005. Math is from 2006. This would be a great start! Oh I would love to have the Newmark Learning set. This would be perfect for my classroom! The STEM kit would be perfect for my classroom! 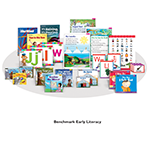 The Benchmark Early Literacy from Newmark Learning, would be very beneficial as would ABCmouse.com! Loving your blog and wonderful giveaways! Thank you! I love the Three Little Pigs! The STEM kit looks awesome! Great giveaway! ABC Mouse is so much fun! The lakeshore stem kit looks like something that would be very worthwhile for my third graders. The problem solving aspects are great and we have a district test on the three little pigs. This activity would insure they all have a good understanding of the story. The Three Little Pigs Problem Solving STEM Kit from Lakeshore looks interesting as STEM and STEAM are the new buzzwords and I enjoy integrating science and literacy. ABC Mouse has good materials, too. 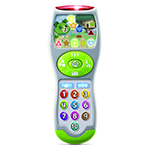 Learning Lights remote looks interesting. I like all of these. The Benchmark Early Literacy would be great as a kindergarten intervention teacher. The three little pigs STEM kit would work perfectly for my STEM Fridays that I am implementing for my preschool students! These items have great potential in every age classroom. It would be a huge blessing to anyone who wins one. I’m interested in the Benchmark Early Literacy from Newmark Learning as well as the stem materials on the Three Little Pigs. We are a “bucket fillers” school so the book would be great too! I need to get signed up for ABC Mouse too! I have a student that could use the help!! Thanks for such an amazing prize package!! These are all really great additions to any classroom, each would really enhance a child’s learning experience! My 3 and 4 year Olds would love these! The literacy program would be so great to add to my classroom! The benchmark literacy pack would be most beneficial for my at risk students. Unfortunately we do not have any resources such as this to help the students have a foundation to be successful in kindergarten. The benchmark early literacy from newmark learning would be great in my Kindergarten classroom. I teach a very high ELL area. Big books that I can read to my students and then having smaller versions for th kids to look at would be an amazing addition. My students also love music and learn from music so the CDs would be a great addition to our room. Thanks for offering this opportunity. All of the products look great but I would love the benchmark early literacy program. I love being able to have a variety of resources to assist my students with their learning goals. The Three Little Pigs STEM set looks very fun! My classroom uses the kindness bucket and bucket filler themes already. The baby bucket book will be a great addition. I love new ways to intergrate STEM in the classroom so the Lakehore Little Pigs set sounds fantastic. I like them all…especially the benchmark early literacy. These would ask be great in my preschool classroom, but the Benchmark Early Literacy kit is the one I am most interested in learning more about. They all look great but I would love to have the benchmark early literacy from newmark learning. I really enjoy finding new ways to help my kiddos be successful in reading. Benchmark Early Literacy looks interesting. We’ve just added a smart board and this would make it relevant to my little ones. As a preschool teacher who loves to prepare young children for kindergarten…I would love the Benchmark early literacy kit to use with the smartboard…actually I would love any of the products. Thanks! These are great! I use Benchmark Writer’s Workshop with my Kinders and its awesome! The materials are all amazing but I am most excited to try the STEM activities. Wow. That benchmark early literacy kit looks awesome! They all look like great products! All products look very interesting and beneficial for my early childhood classroom. These resources in my classroom would be amazing! Small private Catholic school without a lot of funding for such resources and a great need for them! I love abcmouse.com use it in my home daycare all the time! I also love leapfrog products! The Three Little Pigs Problem Solving STEM Kit from Lakeshore will appeal to any student. I would be able to use ALL of the items, but I honed right in on the 3 Little Pigs Problem Solving Stem Kit! It is so hard to find materials to teach problem solving skills! My PreK classes would LOVE this! My pick would definitely be the benchmark early literacy program! That sounds incredible. I work in a fairly new and small program with limited resources and/or funds. I would love this to share with my team and of course our awesome kiddos! The Three Little Pigs STEM kit looks so fun! My kiddos would love that! I think the Early Literacy Kit looks very cool. I could see that being very useful in the classroom. I would love them all but especially the Benchmark or The Three Little Pigs. As a home daycare I am so limited on extra funds so any of these would be amazing!